Locksmith Sarasota is happy to provide answers to numerous locksmith FAQ’s. On this page, we have answers to many questions you may have about our business and our services. We also have responses to several general locksmith questions that should be able to help you help yourself when you have a lockout or similar issue. If you don’t see your question asked or answered below, just call us with your pressing inquiry at (941) 281-4100. Look below to see our answers to a multitude of locksmith FAQ’s. How long does it usually take to reach your customers in Sarasota? We generally tell most customers that it will take 10 to 25 minutes for one of our locksmiths to reach them in Sarasota after both parties have hung up the phone. Our average response time for Sarasota as a whole is right around 15 minutes. Do you serve any other cities and towns besides Sarasota? We can’t guarantee that our response time will be as fast to the towns in this list, but we are nonetheless vigilant in reaching our neighbors outside Sarasota. We don’t ever charge any extra travel fees even for customers who are on the outskirts of our service area. Also, we don’t use weather conditions or non-business hours as an excuse for not reaching you in a reasonable amount of time for your locksmith request. Do you provide other services besides lockout help, new lock installation, re-keying and key duplication? Yes, you’ve listed that standard services offered by just about any locksmith, but our capabilities go much beyond those areas. Basically, anything you can think of that has to do with upgrading home or business security, we probably do it. For starters, other than installing high-security locks, we set up CCTV security systems at homes and businesses in the Sarasota area. We also install and replace door alarms, and we can add security gates to your property as well – inside or outside the structure. Push bar repair and installation as well as cabinet and file locks are also available to you within our service area. Last but not least, for vehicles, we can help you unlock your ignition if it gets stuck, and we carry jumper cables with us everywhere we go if your car needs a jolt to get running again. We also repair broken car door handles, re-key the locks on vehicles, and set up keyless entry systems. Can you get my safe open if I’ve forgotten the code? 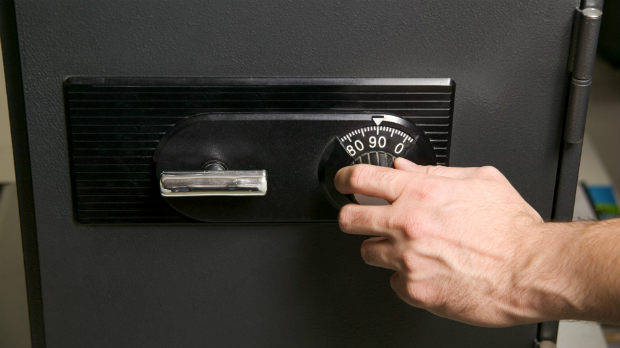 Yes, we have many years of experience opening safes of all sizes and makes. In some cases, we will have to drill a small hole to get it open, but our locksmith will be able to repair the safe so it maintains its fire and security ratings. Can you make copies of a key while on the job site? Extra keys are pretty easy for us to make while we’re with your at your car, home or business. All of our service vehicles have the equipment to make key duplicates at the job site. We generally recommend to customers that they keep plenty of spare home, car and office keys, so we’re always ready to make duplicates for you whenever we meet you for any type of service. Will you make a copy of a key marked “Do Not Duplicate” or “Duplication Prohibited”? In some cases, yes, but we will have to take certain precautions first in order to approve such a key duplication. This may involve getting a letter of approval first from your business owner, apartment landlord, etc.. In other cases, some keys are so restricted that even we can’t obtain the key blanks. If we run into this issue, we can refer you to the party that can duplicate the key for you. Do you require proof of ownership before you unlock my house, car or business? Yes, we can’t let you in if you don’t have some proof of ownership or residence. Photo IDs and other official documents usually work for us, but if you have your wallet or purse locked inside the building or vehicle, we have other security measures we can take before we let you back inside or make new keys. If it’s your first service call with Locksmith Sarasota, we’ll give you a 10 percent discount on labor as a first-time customer. Also, if you’re a senior or military veteran, we’ll give you 10 percent off each and every service call with us! Is it OK to hide a backup house key somewhere on the exterior of the building? You know your house better than anyone, so if you’ve found a super secretive place to hide a spare house key, you’re free to do so. But generally, we don’t recommend leaving your keys vulnerable like that, no matter how inconspicuous the hiding spot is. What you should do instead is carry the individual key in your wallet wherever you go. Most house keys are small enough to fit. Another option you have is to buy a combination lockbox to be installed on the outside of your house. This way, a key will always be nearby if you’ve forgotten yours, and nobody else should be able to get into the lockbox. What kind of lock do you suggest purchasing for my home? We recommend buying the highest security deadbolt you can afford. 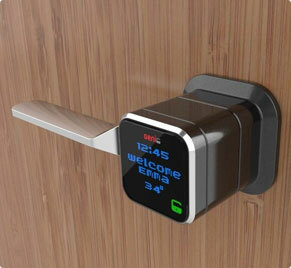 We’ve seen some of the most extravagant houses with the most basic of door locks. This just doesn’t cut it. The lesson here is don’t skimp. Do I need a high-security deadbolt if I already have a good alarm system? 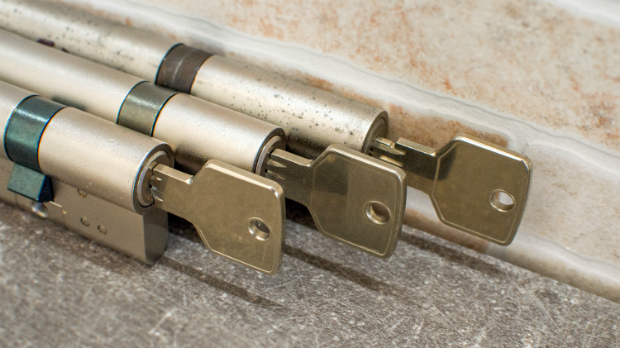 Yes, we still recommend a high-security lock, no matter how great your alarm system may be. In many cases, your alarm doesn’t go off until somebody has already broken through the door or entered another way. If that happens, it doesn’t give you much time to react. Keep intruders at bay (and the alarm system from going off) by investing in the highest security deadbolt you can afford. What are the different levels of master keys? You may have heard of master keys that open all of the doors of a building, but did you that there are up to three levels of this type of key: Master, Grand Master and Great Grand Master? For a building with even the basic level of master keys, a professional locksmith needs to set up the system. If a building is outfitted to the Great Grand Master level, that means there will be Masters that work for a specific sets of doors in the facility, while the Great Grand Master key gets into everything. If I lose my house key and I’m worried about a stranger getting a hold of it, do I need to change the locks on my house? Not necessarily. In most cases, a locksmith shouldn’t have to change out the locks completely. They can just re-key the locks instead. The downside is new keys will need to be made for your whole family, but at least you’ll save by not having to buy all-new locks. Why do different locksmith companies in the area charge different rates for the same services? Locksmith Sarasota’s rates are competitive, but if you talk to a local locksmith whose prices seem too good to be true, they probably are. Many who claim to be locksmiths are only performing the work on the side of another job, and they may just be running the operation out of their garage or van. Additionally, there are hundreds of self-proclaimed locksmiths in Florida who aren’t even licensed by the state. If the locksmith you contact isn’t performing work daily and not even licensed, how are you to trust the professionalism of his or her service? If you’re looking for a reputable licensed, bonded and insured locksmith, give Locksmith Sarasota a try. Do You Have Another Locksmith FAQ that You Didn’t See Answered Above?